The basic tactics might be unapologetically consistent but, two years on from reaching the quarter-finals at Euro 2016, the sense inside the Iceland camp was that the execution has actually improved. Yes, Lionel Messi was off beam with his shooting - beyond even the missed penalty - and Argentina's general mood is unlikely to be improved by an inference from Iceland striker Alfred Finnbogason's remarks that they are a one-man team, but he was generally being reduced to long-range efforts. 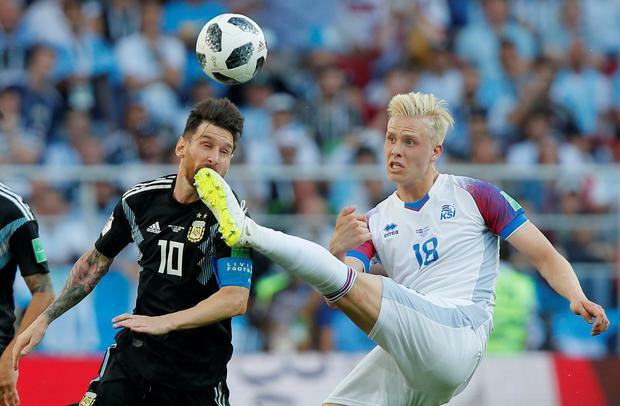 Iceland's counter-attacking threat was also evident and, according to Finnbogason, who scored their first goal in World Cup history, they are steadily adding variation to a foundation that should never evolve too radically. "I think this team is better than two years ago at the Euros," said Finnbogason. "The coach has developed the team. We are more flexible tactically and the players have more experience. We are more unpredictable now." When it was suggested that Iceland were not a one-man team like Argentina, Finnbogason agreed. "Exactly, for sure," he said. "There are not many teams better in set-pieces than us and the goals are divided among players. "You really have to put a shift in every game." 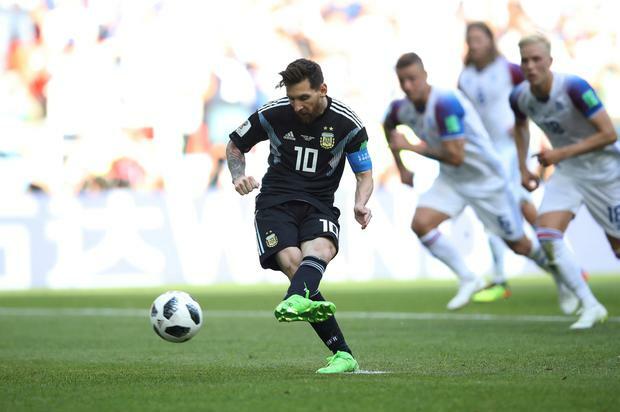 The one man in everbody's minds was, of course, Messi and, having complained that Iceland "did not want to play", there was a wider sense that the rest of the Argentina team must also step up. "Messi is a phenomenon if he is put in the right conditions, like in Barcelona," said Hernan Crespo, the former Argentina striker. "Otherwise he is struggling. Messi is not Maradona. Alone, he does not win a World Cup." There was even some sympathy from Iceland midfielder Gylfi Sigurdsson.